First run in 1963 under the banner of the drinks firm, Schweppes, a sponsorship that continued until 1986, it was the most valuable handicap hurdle in the calendar. That racing legend, Captain Ryan Price, won four of the first five runnings, but alas achieved a lasting notoriety when his Rosyth, ridden by Josh Gifford, won the 1964 renewal. Having won the inaugural race the previous year, Rosyth trotted up, following four unplaced efforts, resulting in Price being warned off, and Gifford getting a six weeks suspension. Further controversy followed the 1967 win of Price’s Hill House, who tested positive for a banned substance. It was subsequently discovered that the horse himself was manufacturing an excess of steroid, (Cortisol) and kept the race. Let’s hope that skulduggery and dodgy pharmaceuticals play no part in Saturday’s renewal, and the best horse on the day crosses the line in front. Whichever animal it proves to be it is unlikely to be carrying more than 11st6lbs, as only two horses, both future Champion Hurdle winners, Persian War, ( 11st 13lbs 1968,)and Make a Stand (11st7lbs 1997) have managed it. Indeed only four winners have carried more than eleven stone since 2000. Good recent form is a prerequisite as out of the last seven winners four had been successful last time out, and the others had managed a top three finish. In recent renewals it has been a good contest for the younger unexposed contender with four novices winning in the last six years, and nine of the last ten winners being aged five or six. Read last year’s Betfair Hurdle preview here. Willie Mullins, who has never won the race, is mob handed at the time of writing with eight entries. The one that stands out for me is the J.P McManus owned ex French 5yo gelding Blazer. Probably purchased with a chasing career in mind, his two attempts at the larger obstacles demonstrated some serious flaws in his jumping technique. A return to the smaller obstacles in a Leopardstown handicap last weekend revealed an extremely well handicapped horse, as he won with his head in his chest off a mark of 125 in a contest run in a decent time for the conditions. Only 6lbs higher on Saturday, giving him a nice racing weight of 10st4lbs he looks really well treated. He does need three to come out for him to get a run, but with the Mullins legion all above him in the handicap, this shouldn’t be a problem, and it will come as no surprise to see J.P Collecting the winners trophy for the third time. Paul Nicholls runs the 6yo Modus in the same colours as Blazer, and having won over course and distance, certainly enters calculations. However he disappointed last time on heavy ground at Taunton and the suspicion remains that he will prove a better performer on a surface faster than we are likely to see on Saturday. Philip Hobbs’s 7yo War Sound has been prominent in the betting despite not having been seen since his facile win in Haydock’s Swinton Hurdle last May. While an 8lbs rise for his Haydock effort looks reasonable, it does leave him with a burden of 11st7lbs to carry on ground that is more than likely going to be pretty deep, and combined with a lack of recent match practice, Hobbs’s other runner, the progressive Sternrubin may prove the better option. The 5yo has won his last three races, including a win over course and distance last November, where he had Saturday’s opponent, John Constable 4L back in second. Last time, he put up a very brave performance in the Ladbroke at Ascot eight weeks ago, where having made all, he was headed after the last, but battled back to gain a share of the spoils on the line. However he is up another 8lbs at the weekend, and as no Ladbroke winner has gone on to win this he does seem to have it all to do. The aforementioned John Constable is of considerable interest. A 5yo entire horse by Montjeu, he was previously trained on the flat by Aidan O’Brien, where he achieved a rating of 92, and was effective up to 2miles. Now with top Welsh handler Evan Williams, he won his first two races over hurdles pretty easily, last January and April. He reappeared in November in that race with Sternrubin at Newbury, and as it was his first run after a nine month break, he acquitted himself pretty well, finishing 4L behind the Hobbs horse. He meets Sternrubin on 12lbs better terms on Saturday, so at least on paper, must have serious prospects of turning the form around with the Hobbs contender. 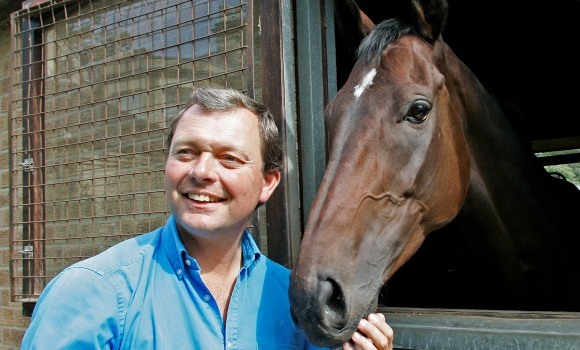 The Oddsguru fancies the William Haggas trained Adday to win Saturday’s Sprint Cup. I hope you were on last week’s selection, the Kodiac colt, Kodi Bear. He absolutely hacked up and is clearly going to be a force at the top level. He might well be worth considering for the QE11, particularly if the ground is on the easy side. Saturday presents another son of Kodiac, Adday, with the opportunity of scoring at the top level on only his second attempt at a Gp1. Bought for €54,000 as a foal, he was resold as a 2yo for 240,000Gns, and he certainly looks a bargain now. He made his 3yo debut at Ascot at the end of April, finishing third to Saturday’s opponent Limato. He was beaten 3L by the Candy gelding, who had benefited from a previous run, but reversed the form at Haydock a month later when comfortably holding Limato by a length. Seventeen days later, in the Gp1 Commonwealth Cup at the Royal meeting Adday ran an indifferent race finishing seventh, 2 3/4L behind Limato who finished second. Given a nice two months break the Haggas colt reappeared in the 7f Gp2 Hungerford stakes, where, as an easy to back 15/2 shot, he won in workmanlike fashion from a decent field. The score between Limato and Adday currently stands at 2-1, but one suspects that the Haggas colt may not be ideally suited to the Ascot course, (plenty aren’t) and back at the Lancashire track Adday may even the score. One for the shortlist! Magical Memory, whom this column tipped, when taking the Stewards Cup has been supplemented at a cost of £15,600 for Saturday’s race, highlighting the confidence of the all conquering Charlie Hills stable. After strolling to victory in a Newmarket handicap off a mark of 96 he was all the rage for the Goodwood cavalry charge when backed in to 6/1 favourite on the day, and won like a group horse in the making off his new mark of 102. He was actually being eased down inside the final furlong and probably deserves a considerably higher rating than his current 108. He has done all his winning on top of the ground conditions, but his trainer has no worries about an easier surface, and indeed feels that he might well be suited by some give. Very soft ground however would be a negative. Obviously on a sharp upward trajectory his sporting connections should retrieve, at the very least their late entry fee. The redoubtable Gordon Lord Byron, who won the race two years ago, can never be left out of calculations. Particularly well suited by plenty of give, he showed his current wellbeing when a decent third at the Curragh on an unsuitable fast surface, two weeks ago. His form in the 6 1/2f Gp1 Prix Maurice de Gheest at Deauville on August 9th, where he finished only 1L behind triple Gp1 winning Muhaarar, to whom he was conceding 5lbs, would give him very strong claims indeed. Michael Appelby’s 4yo gelding Danzeno, may have been unlucky in Newmarkets Gp1 July Cup when finishing 5th behind Muhaarar. He seemed to be given an awful lot to do, and Dettori collected a two day ban by the stewards for his belated attempt to get through. In his previous race at Newcastle he again looked unlucky finishing 3rd, just a short head behind Saturday’s opponent Mattmu, who claimed the runner up spot. Here again he was slowly into his stride, and also lost his action when stumbling after 2f. As Mattmu went on to win a Gp3 at the Curragh and finish third in the 5f Nunthorpe, there is nothing wrong with the form, so given a bit more luck in running, the Appelby runner is another worth considering, particularly as all ground comes alike to this talented gelding. David O’Meara runs two, G Force, and Watchable, and of the two the latter may be the more interesting. Running consistently without troubling the judge all season, he ran the best race of the current term last time, when finishing 4th in the Prix Maurice de Gheest, just a length behind Gordon Lord Byron. This Pivotal gelding, who handles a soft surface well, only needs slight improvement to get involved, and coming from this yard we all know that is more than possible. His current odds of 25/1 certainly look generous. Kodi Bear is a rapidly improving animal and has a terrific chance in the Celebration Mile. Inaugurated as a Group3 event in 1967, it was elevated to it’s present status in 1977 and features most of the top milers of the last four and a half decades, including the mighty Brigadier Gerard, Mark of Esteem, and Ravens Pass on its roll of honour. The classic generation have been the most successful age group, collecting in thirty two of the fourty seven renewals since its inception. Of Saturday’s trainers, only John Gosden has previously hit the back of the net, (Mutathir, 1998 and Ravens Pass, 2008) but Roger Charlton,represented by Captain Cat at the weekend, has had two placed from only three runners in the past decade. 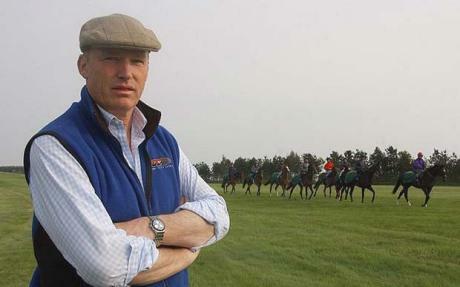 David Simcock,s only runner over the same period was placed, and James Fanshawe has had one placed from four attempts. The Gosden runner this time is the 3yo Richard Pankhurst, and he will be trying to emulate his sire Ravens Pass. On only his second racecourse appearance, at Royal Ascot in June last year, he looked an outstanding prospect, when beating the very useful Toscanini by nearly four lengths, earning a rating of 116. He hasn’t been seen since, but coming from this yard, a fourteen months absence may be no bar to success. However with the weekends weather outlook in mind, it is worth remembering that his sires offspring much prefer top of the ground conditions, and a waiting brief is advised. The patriarch of the Hills clan, Barry, won the race three times in the eighties and nineties, is unrepresented in this years renewal, but son Charles, who is having such an outstanding season, holds a strong hand with the 3yo Dutch Art colt, Dutch Connection, and the 4yo Cable Bay. Both have strong course form so the idiosyncratic track shouldn’t pose a problem to either, but soft ground would probably be a negative for the three year old. As the ground, at the time of writing is soft and the meteorological forecast is changeable, the stables best chance may lie with Cable Bay. He was probably given too much to do when held up in midfield in the 7f Hungerford Stakes three weeks ago, and finished fourth, but a reproduction of his run in the 1m Lockinge Stakes at Newbury in May would make him a serious contender. Held up out the back by Jamie Spencer, he ran on well in the final furlong, finishing fifth about a length and a half behind the top class Night Of Thunder. One for the shortlist! 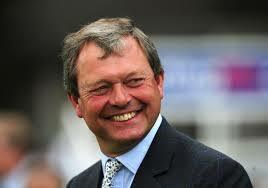 Another trainer enjoying a good season is Clive Cox, and his 3yo colt Kodi Bear is a rapidly improving animal. Having finished second in the Group1 Dewhurst Stakes in his last race as a 2yo, he was all the rage on his belated reappearance in a listed race at Windsor at the end of June, but had to work quite hard to collect on the good to firm ground. Thrown in at the deep end in a Gp1 at Chantilly a fortnight later, he was well beaten, but may have found the race coming too soon. Given a four and a half week break, he destroyed a decent field in a Sailsbury Gp3 three weeks ago. This progressive colt will handle soft conditions at the weekend and looks the one to beat. Olly Stevens’ 4yo colt, Lightning Spear is by pivotal so will appreciate any easing of conditions on Saturday, a point emphasised by his staying on fourth in a Gp1 in testing conditions at Deauville three weeks ago. Only his fourth start on turf, he stayed on well going down by 1 1/2L, 1 1/2L, Nse, to Esoterique, Territories, and Wild Chief. He is another on an upward curve, and given holding ground at the weekend could well be in the mix. William Haggas’s 5yo Invincible Spirit gelding Muthmir will be hoping for Group1 glory at Royal Ascot in the Kings Stand Stakes in three weeks time, and must have serious prospects of taking this en route. Our E.W. Suggestion, Pretend, for last weeks Temple Stakes, didn’t make it to the start due to the forecast soft ground, and ironically the going may not have been such an issue as the winner Pearl Secret came home in a time just 1.86 seconds slower than standard. 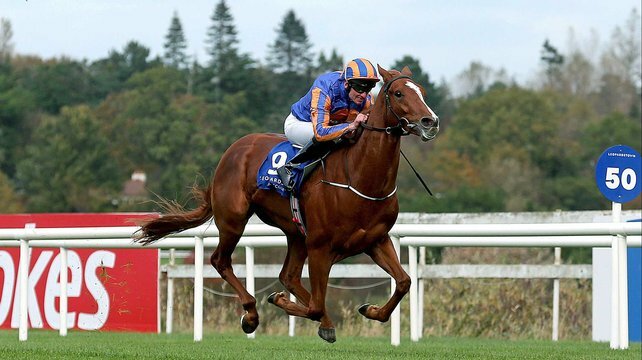 However He is entered again on Saturday, and if this very progressive horse transfers his A.W. Ability to turf, He is going to be a very potent force indeed. One for the short list if turning up. William Haggas’s 5yo Invincible Spirit gelding Muthmir will be hoping for Group1 glory at Royal Ascot in the Kings Stand Stakes in three weeks time, and must have serious prospects of taking this en route. He was certainly most impressive in last years Portland Handicap, when despite stumbling badly, He absolutely hacked up off a mark of 100, clearly marking him out as a Group horse. He reappeared in the Group2 Duke of York Stakes over 6f, and despite running far too freely, was only 1L adrift, in 5th, at the line. Indeed He was less than 1/2L behind Jack Dexter, who ran such a fine race ( Btn nk) in last weeks Temple Stakes, so reverting to Saturday’s more suitable trip, his prospects look bright. David O’Meara’s 6yo Exceed and Excel gelding, Out Do has finished behind Muthmir both times they’ve met, but it does appear that the O’Meara runner has improved since their last encounter. He won a Pontefract handicap off 98 in April, and put up an improved performance twenty four days later when taking a York handicap off a mark of 104. 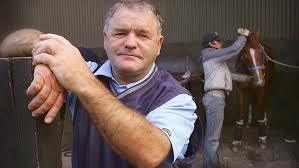 In the hands of this Superb trainer, it would be no surprise to see further progress at the weekend. Magnolia stakes at 2.15, (1m2f), sees the return to action of John Gosden’s St Leger runner up, Romsdal. Second time out last year He hacked up by 5L over the course (1m3f), prior to finishing a terrific third in the Derby behind Australia and Kingston Hill. While most of the media’s attention is focussed on Saturday’s Lincoln meeting at Doncaster, Kempton’s poly track, features three highly competitive and interesting contests. 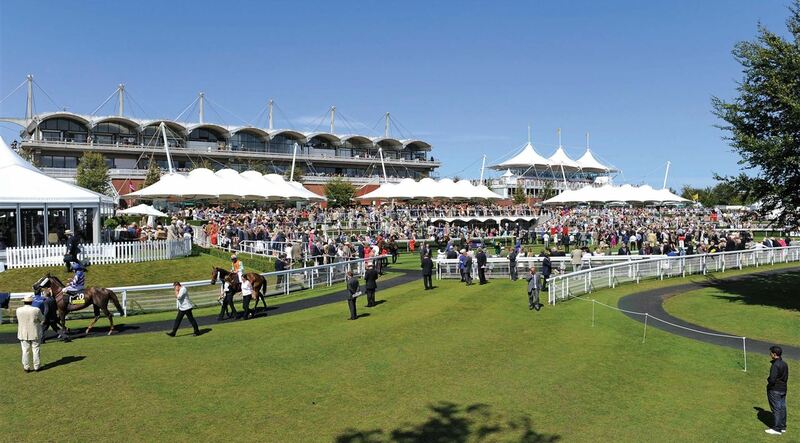 The Magnolia stakes at 2.15, (1m2f), sees the return to action of John Gosden’s St Leger runner up, Romsdal. Second time out last year He hacked up by 5L over the course (1m3f), prior to finishing a terrific third in the Derby behind Australia and Kingston Hill. He disappointed in the King George V1 and Queen Elizabeth Stakes, but redeemed his reputation with a brave second to Kingston Hill in the St Leger (1m6 1/2f). Obviously the distance of Saturday’s contest is a concern, but the way Romsdal travels, and his style of racing, would suggest that it may not inconvenience him that much, particularly when noting that his uber shrewd trainer carried off a similar trick, when winning this in 2012, with his St Leger winner Arctic Cosmos, who had collected the Doncaster prize two years earlier. Definitley one for the short list! Marco Botti’s Solar Deity, if reproducing his run in a very valuable Lingfield handicap, behind Grandeur,(1m2f) last April, would be interesting. There despite being short of room two furlongs out he finished a highly commendable fourth, with one of Saturday’s opponents, Aussie Reigns, behind. He certainly demonstrated his wellbeing three weeks ago at Wolverhampton (1m1/2f) in a class 2 handicap. He ran on really well, to finish third suggesting that the step back up to 1m2f is what is required. With his trainer having such a good A.W. Season, he is worth considering. The Ed Dunlop trained Red Galileo, having won over the course as a 2yo and finished fifth in the Derby has a lot to recommend him. He has failed to catch the judges eye since the Derby, but has put in some very sound performances, not least a shd defeat by Nabucco, and being beaten a nk by the two years older Clon Brulee. As Dunlop won this with a seasonal debutante last year, Contributer, Red Galileo is worth a second look.